Nixon’s transmitter had been peeking out from under the bottom edge of the tape (or perhaps the IV3000 wasn’t centered properly over the whole contraption). So, like any good parent would do when a covering is riding a bit too high, I insisted it be covered up with additional material; in this case, Opsite Flexifix. 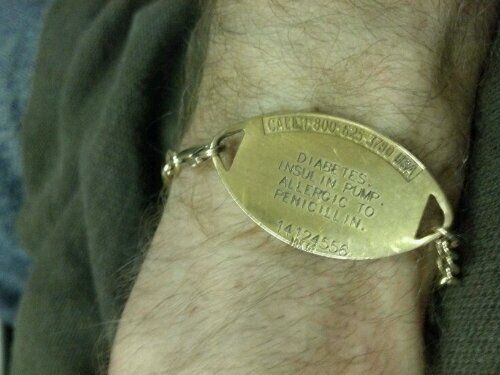 The following night was Glucose-gate. But the day after that, my CGM accurately indicated a BG of 70, but despite several snack-like corrections, continued to report (falsely) 60…50…40. So I pulled it. It left a painful gumball-sized welt underneath my skin which still exists to this day. I guess when you wrap bottom too tightly, the top tries to move around, and funky, painful things happen. I also was having some irritation, poor absorption, and overall hard spots at my Sure-T infusion site. So I pulled it out, moved it about an inch, and stuck it back in. It’s so cool that I can do that. My new sensor went in awkwardly and was wildly inaccurate for the first 36 hours. After trying to fix it with calibrations didn’t work, I decided to “re-start” it, effectively wiping out all of the previous calibrations. I went to work on Friday with the intent of calling Dexcom to see if they had any sort of “trial period” opportunity with the G4. From what I’ve read, the device seems so amazingly superior to my Dexcom CGM that I feel I owe it to myself to try it out. People swear by those things. Then, Medtronic made their big announcement about the Veo 530G and Enlite approval, which made me giddy. But I later found that the Enlite is only “approved” for use with the new pump; no word yet if it will work, in an unapproved manner, with my older one. Or of they’ll even sell it to me. Meanwhile, also on Friday, a SurfaceFine blog post alluded to an Animas rep (hopefully exuding some good Vibe-rations) at the JDRF Walk this Sunday. I’m totally planning to dominate that booth. If I’ve got to get a new pump to get a better CGM, all options are on the table. I also put in my third-ever Mio site. 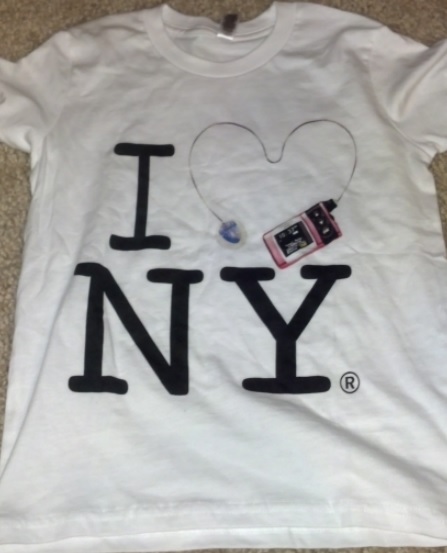 Now my infusion-set matches the one in the child-sized T-shirt (see below) that I got for my son to wear on Sunday. My teenage-T1D neighbor was out walking her dog and we had a brief chat. We had some D-related discussion which led to me suggesting she give a Dexcom a try. But she’s an active, competitive cheerleader and anything stuck to her body tends to get in the way (I can understand. If someone is trying to catch you after tossing you into the air, “off-limits” catch-points trumps letting you fall to the floor every time). Even her pump is becoming troublesome. I won’t go into the whole story, but I wish I had advice to give and knew how to help. JDRF Walk Day! A wonderful, but tiring day, as always. Somehow, the walks in New York seem longer and more draining than my first one at the County College of Morris. Maybe I’ll write about in another blog post, maybe someone else will beat me to it. But both the Stem Cells and the Hoffmanderson team-captains wore gold sashes. The built-up rivalry ended up as friendly comeradery. Not ten minutes before finishing off this post, my Medic-Alert bracelet slid off my wrist as I tucked my son into bed (forcing me to untuck him and search for the missing link that’s supposed to hold the whole thing together). Guess there’s something new to add to my shopping list. Posted on September 30, 2013, in Diabetes, Personal. Bookmark the permalink. 8 Comments. I’m excited for you to get some new equipment! The thing with the Dexcom breaking is, in my experience, they are extremely liberal with sending out free replacements. I haven’t had a plastic piece fall off yet, but I imagine they’d just overnight a new one. I’m with Katy. Don’t let the crappy design of their newest receiver sway you from using it. They will replace it immediately (if under your 1 yr. warranty). Nothing can touch its accuracy. Scott–I spoke with my Minimed rep on Friday about getting me the new 530G system. They are expecting it to start shipping in mid-October. I’m currently just waiting to hear from MM’s “insurance specialist” to make sure this will all go smoothly for me. If I actually get my hands on my new system before you make a decision on yours I’d be glad to answer any questions or give you my thoughts once I try it out for a few days. I will say though that I am not on a Revel. I still have the original Paradigm pump/sensor combo (now about 5 years old). However I don’t think MM made any sensor upgrades with the Revel–just changed the software a little, right? The only difference that I know of, sensor-wise, between the 521/721 Paradigm and the 523/723 is how it interacts with the meter’s wireless link. The older one automatically calibrates the CGM (which is why they tell you to turn off the link-feature) and the newer one asks, each time it receives a BG from the meter, if you want to calibrate. Me too–my biggest reason for making the call to get one was the upgraded sensor. I don’t have any problems with my pump itself other than the fact that it is out of warranty and wouldn’t be replaced if something happened to it. Sensor accuracy is at the top of my list right now as I try to work on my a1cs in preparation for a pregnancy. I remember hearing, when learning about the Animas Ping, that *it* turns *itself* off if the pump hasn’t been used for 12 hours and the user does not respond to an alarm. This was explained to me as a perk for hikers who pass out alone in the woods from hypo. 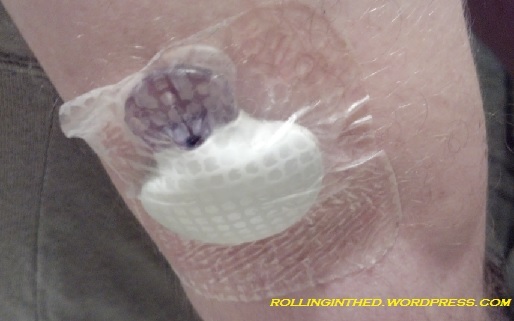 It’s basically an artificial pancreas that runs itself! by “used” i mean: touched/buttons pressed. Medtronic has had the same feature for years, called “Auto-off” — it stops all basal delivery, but I don’t know if the screen actually goes dark. You can set the number of hours after which it alarms and turns off if you don’t press anything. Mine is set to 16. (Interestingly, the trainer for my most recent pump said not to use that feature… perhaps because, when defective pumps get returned, they raise a ruckus at the UPS facility while in-transit).